Nic Lindh, breaker of car fobs. … both of the key fobs have broken. This is madness! 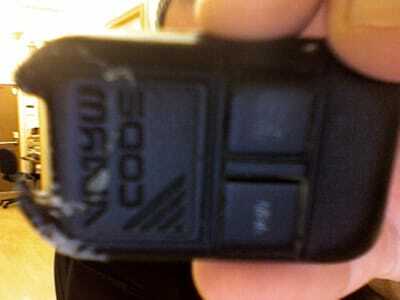 This is a broken fob! Both fobs are broken for the alarm system in my car. Called Code Alarm, the manufacturer, only to be informed that they no longer make that model, so instead of getting a new case to slip in the old electronics, I have to get a whole new fob and reprogram the car alarm to use it. Total damage to the credit card: $71.50. Yes, the gunk visible on the fob is the remnant of duct tape. Sigh. At least the car isn’t bondi. Yet.